Forum” magazine, June 1932, pp. 191-193.
and Mr. Elliott Coues. She wouldn’t succeed. 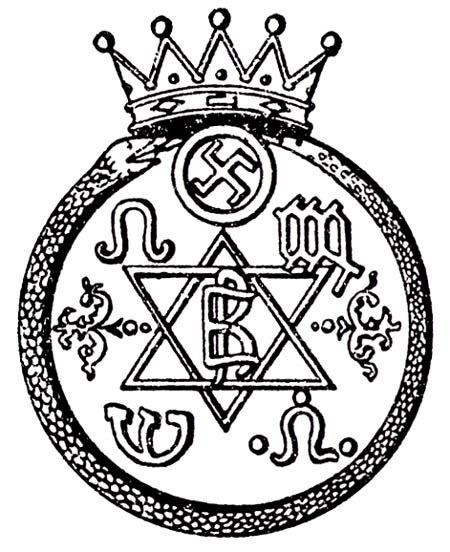 dishonest) enemy of the theosophical movement. will never go against her colleague W. Q.
not to be easily disturbed by provocations. us with photocopies of the material. I have just finished the longest letter to Coues. I hope he will show it to you and thus save me the trouble of writing things over again. Do you want to know the key to the whole thing? Well, it is very simple. In “theosophy” we rejoice (we ought to, at least, in our T.S. as THEY do in “theosophy”) more over one repentant sinner than over 99 saints etc. He is going to get married with my dearest friend, Mrs E. Bates. I went against that before  I do no more, for master knocked out all opposition out of me with one word “It is his (Coues’) salvation.” Married with such an angel, he may be safely made a Prest  - anything to help Theosophy in America so long as he works in harmony with you. Whatever you ask me to do - your two signatures must be on the request. Otherwise I do nothing. Now Judge cheer up. We will lift up your “Path” higher than any other journal. Now Mr. Sinnett promises to work for its subscriptions & I will make others do the same. I am preparing several articles that I will send you & write in The Path over my own signature which I do not in “Lucifer”. When are you going to come out, I mean you & Coues? How is it to be done? Please Write FOR I MUST KNOW. I am looking at you & watching you, old man. - MAY YOU FEEL MASTERS PRESENCE! The idea is absurd & preposterous. If W.Q.J. get riled  under any provocation - for more than 5 minutes by the city clock, then he is a flapdoodle. H. P. B. would give 7 dozens of Bridges, 77 dozens of Noyeses  & the whole esoteric body in the U.S.A. for one W.Q. J. who is part of herself since several aeons. Those having ears will hear, those who are deaf & blind, let them provide themselves with false ears & glass eyes, or - vanish away. The Esoteric Section and its life in the U.S.A. depends on W.Q.J. remaining its agent & what he is now. The day W.Q.J. resigns, H.P.B. will be virtually dead for the Americans. W.Q.J. is the Antaskarana between the two Manas(es) the American thought & the Indian - or rather the trans-Himalayan Esoteric Knowledge. PS. W.Q.J. had better show, & impress this on the mind of all those whom it may concern.